Family Members: son 17 y.o. Expectations from aupairs: male au pair from America, UK or Germany. General working time: practice language and sports with the boy. peng host family SHHello, I know au pair host family program from a movie. I think this program fit my family quite much. 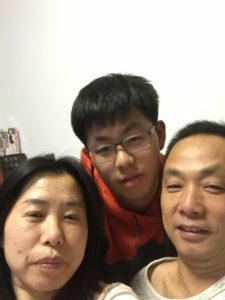 we have a boy, grade 2 in high school, 16 years old, and after 2 years we plan to send him to study in UK. In the weekend and holiday he would be quite free for him. we hope can find a male au pair to be with him, practice language and sports with him. we can provide a room for the coming au pair in our family, also we have nanny, no need of house work for au pair.